Ah, the dog park. Canines of all shapes and sizes come together to chase, drool, fetch and frolic; it’s a smorgasbord of fido fun. 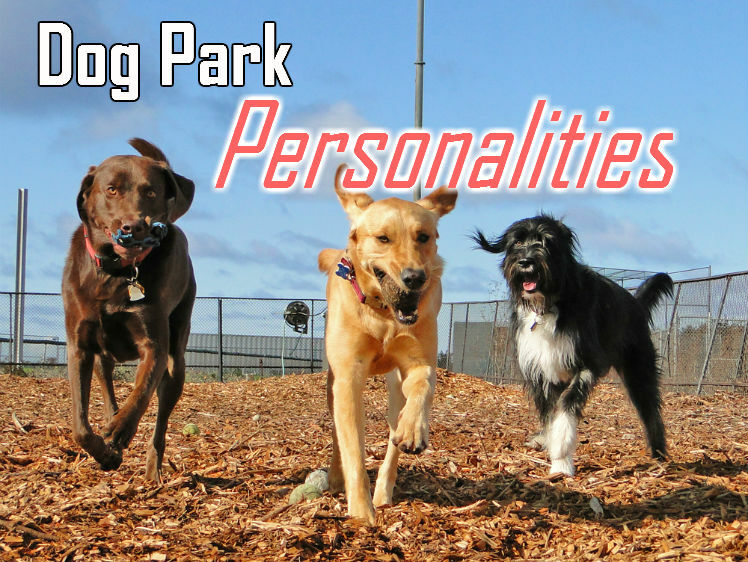 Just as there are numerous breeds of dogs, there are numerous types of dog personalities to be found at the dog park. The list below gives you an idea of some of the dogs you might find running around your neighborhood pooch gathering place. Remember the Looney Tunes character that spins in a furious cloud wherever he goes? There’s always at least one of these dogs at the dog park. Never subtle, they speed through the dirt regardless of weather conditions and always seem to be extra friendly, ensuring they cover you and your pup with a complimentary layer of slime and grime. You just returned home from the exhilarating dog park adventure and you reach back to get the toy you brought, except… it’s gone! That’s right, the resident criminal canine swiped it when you were talking with another human and your dog was making friends. Somewhere out there is a trophy pile made up of rubber dog toys and a dog looking at them with a gleam of pride in his eye. Not an actual cat, but a shy dog who cowers behind their human companion’s leg, afraid to interact with their own kind. No matter how nice the other dog patrons are, the shy guy won’t open up. His visits to the park are typically notoriously short. This one is always there - the little dog that thinks he’s a Newfoundland. He struts around and challenges bigger dogs with an occasional bark that sounds more like a squeak. His confidence is at an all-time high when he’s at the park and nothing is going to bring him down. No matter what, this one is running the show. Whether they do it by leading the chase or with quiet, calm confidence, there’s a leader in every group. Regardless of the type of dogs surrounding them, they remain steadfast and strong. So, what kind of dog do you have? Do they fall into any of these categories? The next time you make a trip to the dog park, observe what you see – I guarantee you’ll see some of these dogs there. Ron Rutherford loves dogs, writing, Frisbee golf, and the occasional Twix ice cream bar. He writes for Havahart Wireless, manufacturer of invisible electric fencing for dogs.